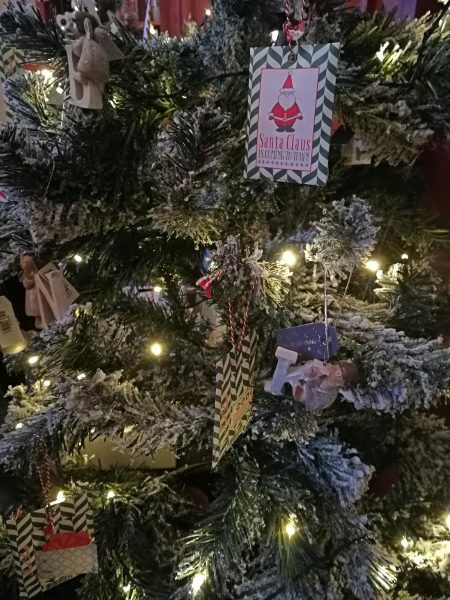 The countdown to Christmas has officially begun and what better festive activity to start planning than a visit to a Christmas market, in a castle?! 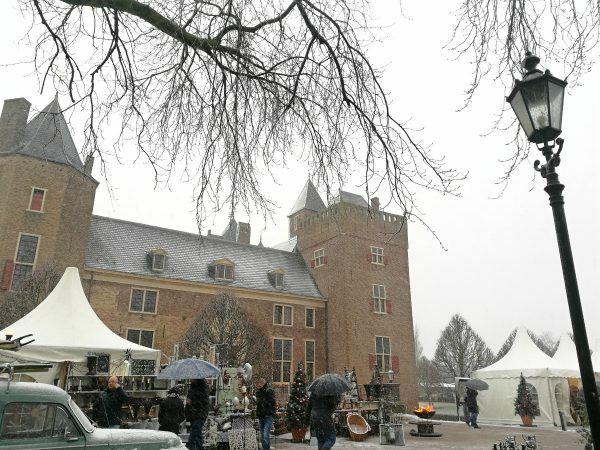 Castle Christmas Fair is an annual event which takes place at Castle Assumburg in the province of North Holland. 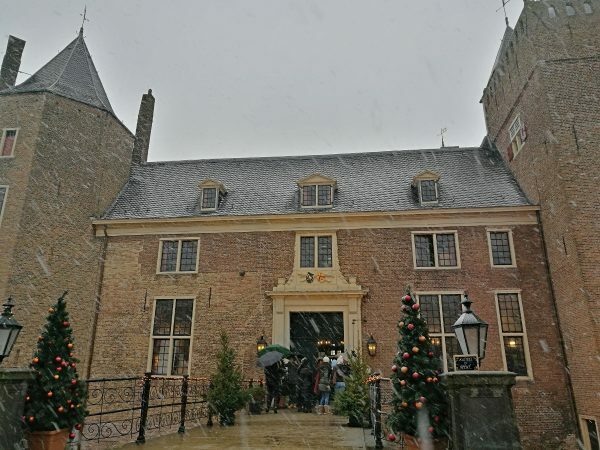 It’s a delightful Dutch Christmas event which is made even more exciting by being held on the grounds of a 15th-century castle! 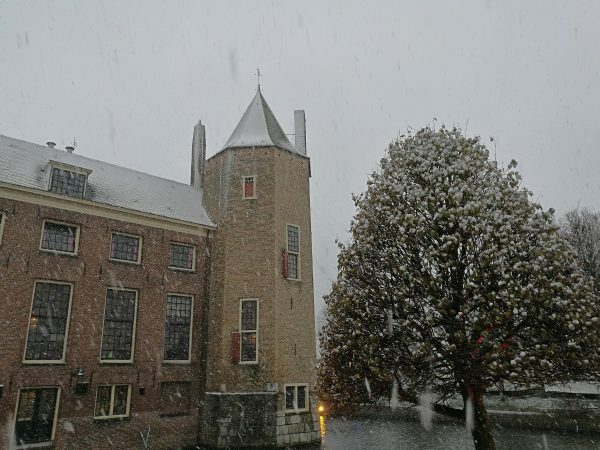 Castle Assumburg (also called Kasteel Assumburg or Slot Assumburg in Dutch) is located in the town of Heemskerk, in North Holland. While it was built to look like a properly fortified castle it’s actually more of a fancy manor house than a real defensible structure. However, it does feature a small moat and pretty towers. Today you can even stay in the castle because it’s now a StayOkay hostel! 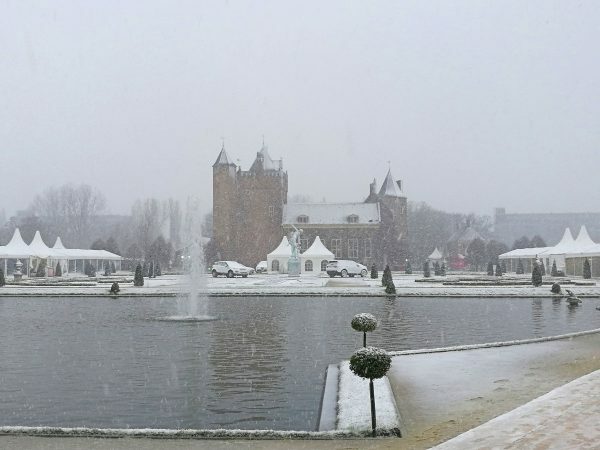 As well as the castle and moat there is also a stylised garden including an orchard, pond, statues, and fountains. 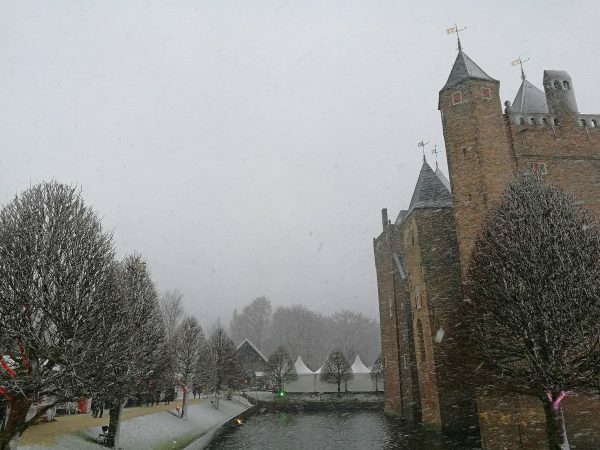 The castle isn’t generally accessible to the public UNLESS you are staying at the hostel or you visit during a public event such as the Castle Christmas Fair! 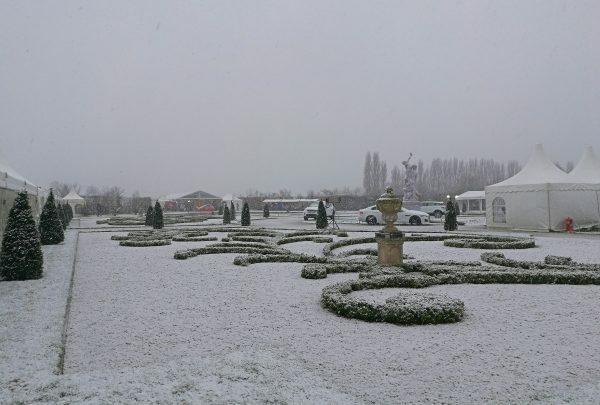 We visited the Castle Christmas Fair last year because, hello – it was a Christmas market at a castle! 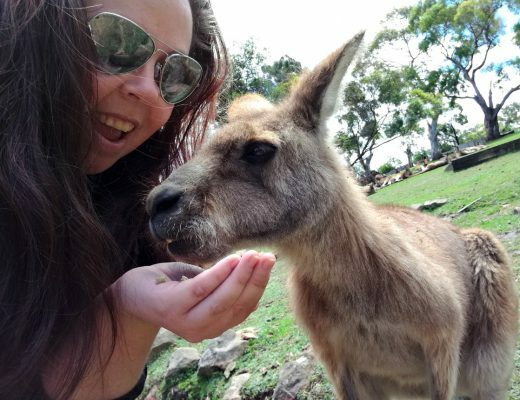 If you’ve been reading this blog for any length of time you’ve probably discovered I am slightly obsessed with visiting castles, and I’m also a big fan of Christmas. 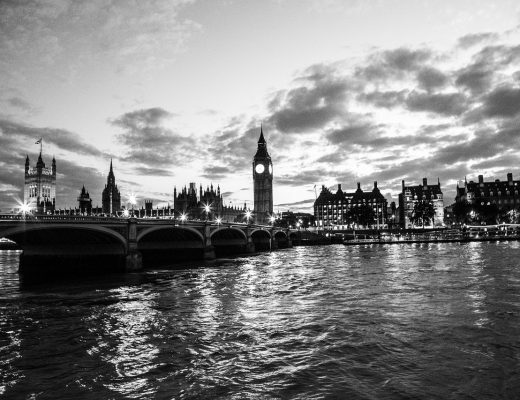 The Castle Christmas Fair is a Christmas market that also features musical performances, food and drink, and even fireworks. There are stalls both outside and within the castle itself, selling clothing and decorative gifts; perfect for all your Christmas shopping! 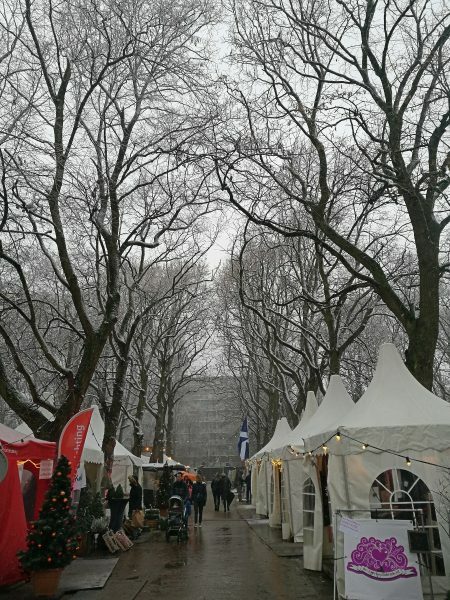 There are also tents and stalls where you can buy food and drink and enjoy getting cosy with heaters while you listen to live musical performances. 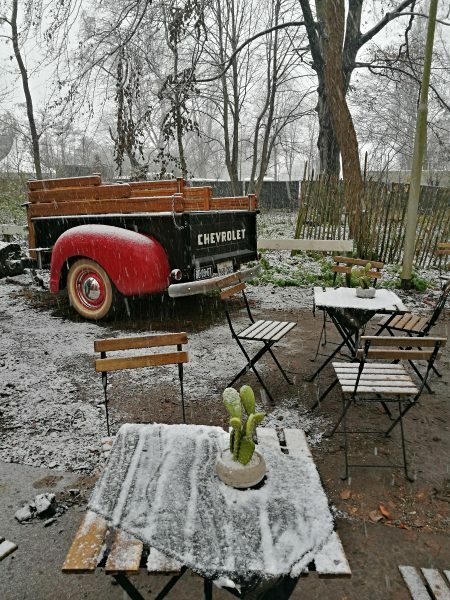 We were especially lucky last year in that it snowed very heavily on the day of our visit, which just made the whole thing even more magical! We enjoyed some warm chocomel (chocolate milk) with whipped cream inside one of the tents. Luckily they have heaters to warm up at since we got a bit damp from the snow, which was falling quite heavily by this stage! There are tents and stalls both in front of and behind the castle, as well as inside so make sure you explore them all. 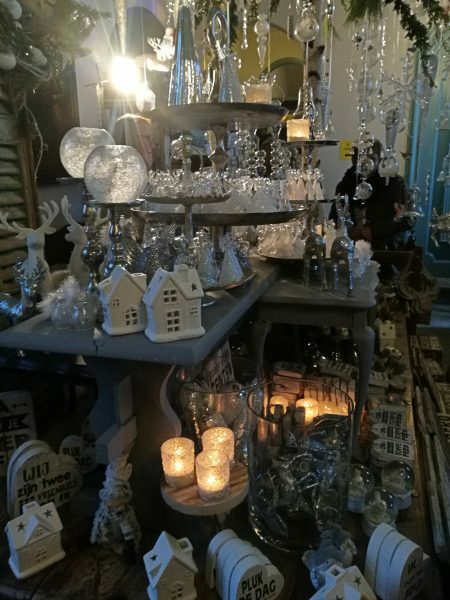 The Castle Christmas Fair is held over four days from Thursday 29th November and until Sunday 2nd December this year (2018). Make sure you check out the official website for more details on the program and to purchase your tickets ahead of time, which is definitely worth it since door sales are a bit more expensive. There are also fireworks on at least some of the nights, but we didn’t end up staying after dark as we were getting a bit cold and weren’t sure we would make it back home safely at the rate it was snowing last year! Castle Assumburg is about a 30-minute drive from Amsterdam. If you go by car you will also need to pay €4-5 for parking. 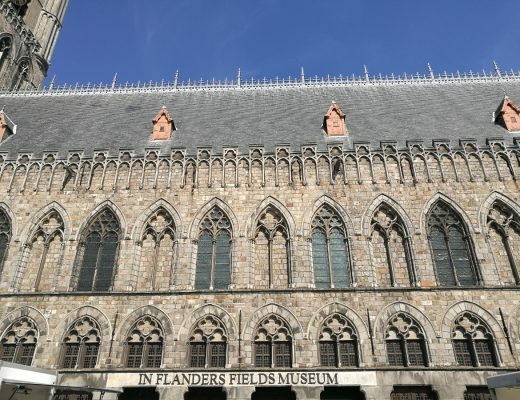 If you want to go by public transport then you will need to catch a train from Amsterdam and then change to a train to Heemskerk, and then walk a little way to the castle itself. By public transport it would take around 40 minutes to get to Heemskerk from Amsterdam. I always recommend using the Dutch website 9292 to plan your travels using public transport. 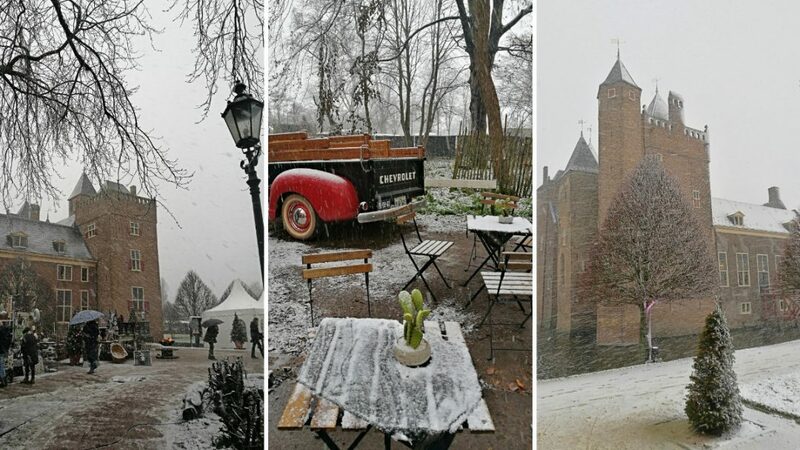 Unfortunately, it doesn’t appear to be possible to stay at the castle during the Castle Christmas Fair, but it’s fairly close to Amsterdam so you could easily visit on a day-trip from the capital. 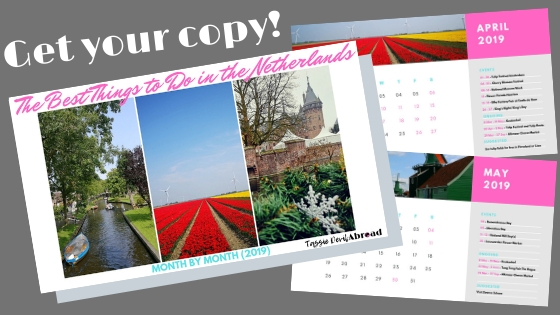 Want a free calendar of the year’s events in the Netherlands? 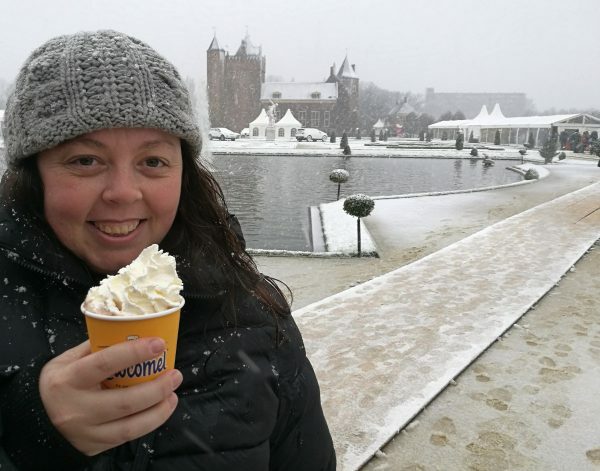 Have you ever visited a Christmas market at a castle?! Let me know in the comments or pin one of these if you want to visit this one! 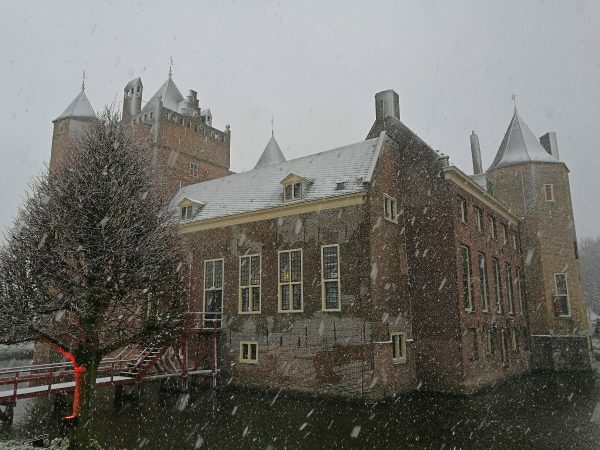 Don’t forget to read more about my favourite Dutch (and European) Castles under the Castle Capers section.